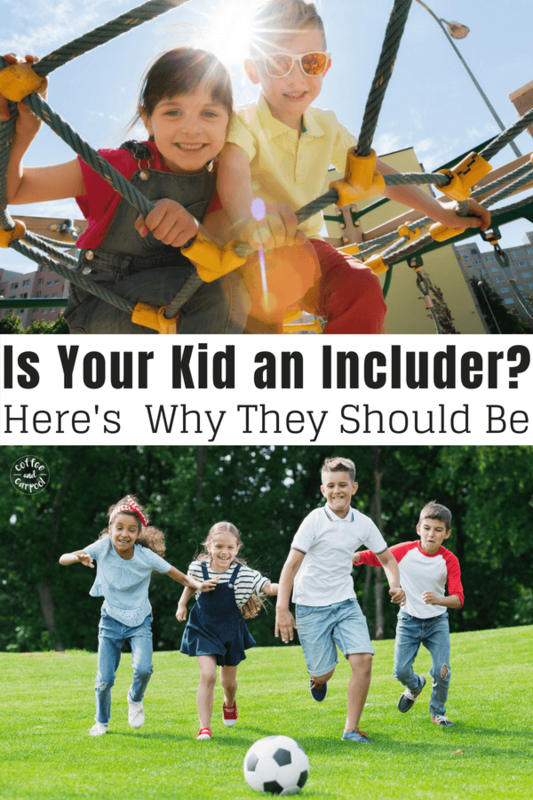 Inside: Is your kid an includer? Do they invite other kids to join in their play? Here’s why they absolutely should be. “Have a great Wednesday,” I called to my three kids as they crawled out of the backseat. “Look for someone to include!” I added. They all nodded, called back their ‘I love you’s’ and they were off to school for one more day. Please be safe. Try your very best. And be an includer. Ever since my kids were toddlers, we’ve taught them to be kind. Offer to share a bite of your ice cream with your Mama. We painstakingly teach our kids to be kind, because kindness matters. I really think it’s what’s missing most in our world. In fact, kindness is so valued in our family, it’s one of our only two family rules. But we’re now teaching our kids that kindness isn’t enough. Being kind to a friend or a classmate isn’t enough to balance out what else happens on school playgrounds. What is the difference between being kind and being an includer? Being kind is pretty simple. It’s a smile, helping someone without being asked, and it’s a general lack of meanness. But being an includer is something much more than kindness. It’s pausing what you’re doing and actively looking around for someone who is alone. It’s preemptively searching for someone who is silently asking for help. And then it’s going out of your way, and sometimes out of your comfort zone, to include them in what you’re doing. Being an includer is bringing people together. It’s being on the unofficial social committee of the playground and the cafeteria and the park. We have spent the last few years moving around the country. So my kids have perpetually been the new kid at school. They stood on the playgrounds awkwardly, trying desperately to make friends and fit in. They have been that kid, off to the side, bouncing a ball against a wall by themselves. And they were surrounded by all kinds of kids: kind kids, mean kids, and manipulative awful bullies. And since my daughter caught the eye of the bullies at her last school, we worked hard to position her closer to spend more time with the kind kids. But what my kids needed-and what all kids need—is something much more than kindness. Every time my kids found a friend, it was because those kids were includers. They paused what they were doing and invited my kid to join in. They invited my kid to sit with them. Why does teaching kids to be includers really matter? Only people who have stood to the side awkwardly at the playground or have not been invited to a party, or had no one to sit with at lunch, truly understand why we need to teach our kids to be includers. I don’t know about you, but I have been there. As a kid, as an awkward teen, and as a full grown adult. Standing by yourself either because you know no one, or because you’ve been excluded by bullies or by “friends,” or because you’ve been accidentally excluded can be an excruciatingly lonely place to be. Being left out, especially on purpose, can leave us feeling dizzy, hurt, rejected, embarrassed, sad, foolish, and angry. But there’s an easy fix to it, and our kids can be part of it. Being invited over to sit, play, or hang out with someone can mean all the difference to a lonely, brand new, or bullied kiddo. This is so much more than being kind. Kind would be to not be mean to the kid sitting alone. Kind would be smiling at them. Being an includer involves reaching out to them and connecting with them in a meaningful way. And it only takes one person. One person to say, “Can I join you? So I’m teaching my kids to be that one person. Every day, as they pile out of my car, I ask them to include someone. And every day, as they load back into my car, I ask them who they reached out to. Who they invited to join in. Who they asked to sit with. I may not be able to change the whole world by making it a kinder place. But I improve my small corner of the world by teaching our kids to change one other kid’s world. 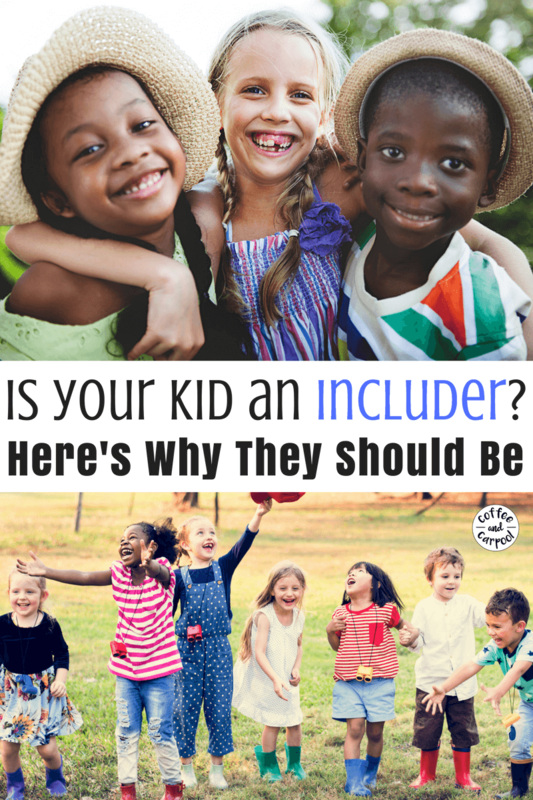 Because by encouraging my kids to be an includer, we’re changing the kid who’s bouncing the ball against a wall all alone’s world. And that’s as good a place as any to start. 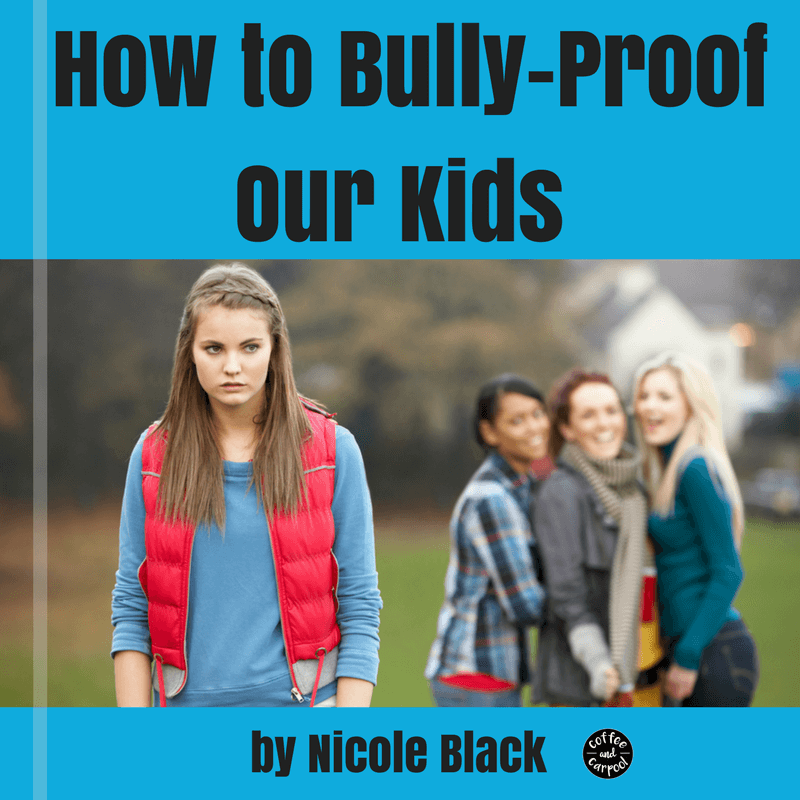 Do you want to know the secrets to Bully-Proof Your Kids?